MONTCLAIR, Calif., January 16, 2019	(Newswire.com) - ​AMPAC USA CEO Sammy Farag has been working diligently each day to improve water technologies for every sector in the world. With an experience of 30 years in the field, he shares some of the greatest problems associated with water security in the country. The world is growing at a faster pace than ever and the upcoming water stress in several countries will handicap the economy all over the world. This coupled with the unhealthy quality of water in first-world countries is a matter of concern over water security. Following the Flint water crisis, ventures have started across the country to avoid the problem from arising again. The problems, therefore, have numerous solutions and need attention from regulatory boards and municipalities alike. From replacement of older-generation pipes to better treatment facilities and conservation techniques, the U.S. today is in need of a better water system that regains the trust of its citizens which has been lost over the years due to crises. Discussed here are the possible ways of ensuring overall water security. 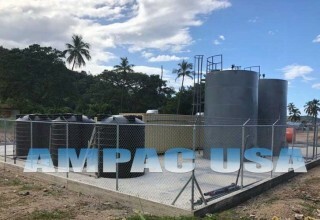 AMPAC USA has been on the field for 28 years working towards developing water technologies that support the goals of ventures and homes across the country. This experience has brought them at close proximity to a harsh reality of today – water. An irony in itself, the company realizes that the very product they develop high-end reverse osmosis purification systems for is soon barely going to be available. Today, it has been over a decade since the terms "shortage," "crisis," "stress," "conservation" and "save" have been associated with water in educational books of schools and research publications. But even so many years later, the world is nowhere near to solving the problem of water security. “I remember when our generation was at school. Water conservation was a topic sure, but it was never stressed in the ways it is done today. Our kids now are learning more about conservation methods and applications in real life than we ever did. A good sign as it is, it is also an indication of the fact that the resource is on the edge of exhaustion, which is a cause of worry,” says Sammy Farag, the CEO of AMPAC USA. Today the population of the world has crossed seven billion. According to the predictions made by the U.N., the world population will grow to 8.5 billion by 2030 and 9.7 billion by 2050, with Africa expected to account for half of this growth. One would naturally think availing drinking water for so many people would be difficult. Accounting the consequences of such a population growth forces one to think how will we manage at all. Water stress is quite visible in the U.S., too. Researchers claim that Lake Mead in Nevada, which provides water for 22 million people, will run dry by 2021. Even a powerful river like the Colorado River is now drying up in a few areas, which put a lot of concerns in the right places. California was the first to always face the wrath of summer heat when the lakes dried up. Now, as the Salton Lake has dried up, the dust is now found to be toxic, causing asthma attacks and respiratory problems to the nearby populace. Things went south when the Flint water crisis surfaced a while ago. Water shortage is one thing but when even the available water turns out to be poisonous, it causes huge social tensions. A study revealed that 55 percent of Americans don’t trust the quality of tap water. While in many areas, the water just tastes funny; in other areas, the increased lead content is posing a problem to the health and safety of the people. “Before the 1950s, water pipes were made of lead and after that, these were replaced by copper. Today, we don’t know exactly how many pipes have been replaced but if there are any lead pipes, it is expected that the lead will corrode into the drinking water, making it hazardous for consumption,” says Farag. In one of the solutions, a topic of appropriate water pricing comes into the picture. With water available in the lowest figures yet essential for survival, one would think water should be free as it is a right of every human being to have the resource. As much as Farag agrees, he also mentions a condition that is important to be noted. Decrease corporate water footprint and address pollution. Farag believes water safety is everyone’s responsibility as it is everyone’s right. “A lot of these initiatives have already begun. Authorities have begun to take notice and individuals are now starting to take the matter of safety in their own hands which are a welcome change. 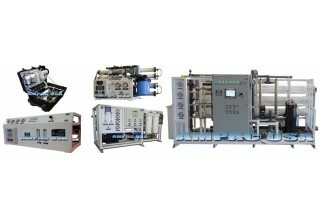 Efficient water purification technology and effective conservation techniques followed by governments and residents can put a dent in the problem of water security this country faces today. What happens in the future is what the coming generations get to see, however, how we act today is what defines it for them."